We welcome beginning tango dancers! 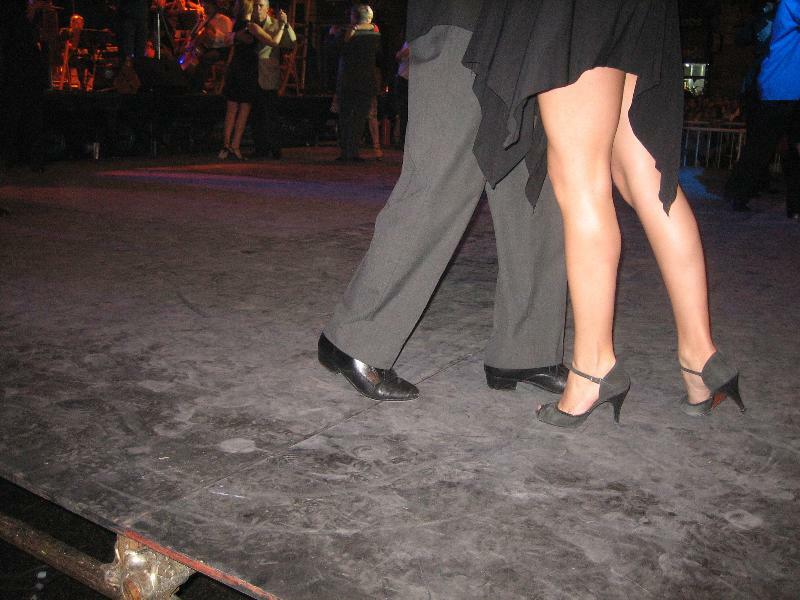 Did you know that there are only about five or six basic steps in tango? Yes, this beautiful, complex dance actually has a simple vocabulary. Those basics include walking (with weight shifts and rock steps), going to the cross or cruzada (8-count basic), and forward ochos (figure eights), back ochos, molinetes (or the circular grapevine step). See Monday and Tuesday classes for beginning tango. At La Pista, we teach you the basic vocabulary of tango as well as the all-important technique of how to rotate in contra-body movement (CBM), how to power your dance from the core, and how to embrace your partner for optimal effect and pleasure. All our beginner classes are followed by practica, or practice time, with an experience teacher on hand to guide and correct you. Currently, we have two beginner classes, Monday and Tuesday evening. Because the teachers at La Pista were all once beginners, we want to help new dancers get up to speed in tango in the most friendly manner. Don’t miss out!